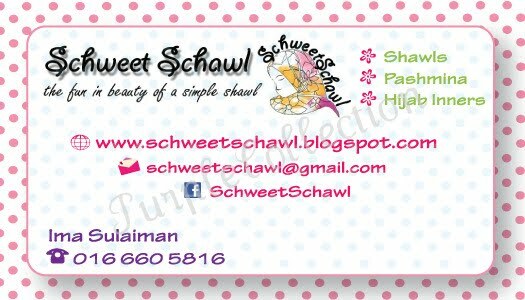 This personalised business card is for Sazalina. She makes beautiful handmade cards! Here is another personalised business card for Ima. She sells shawls, pashmina, hijab inners, etc.